Digging into Sandy Rivera's two decades worth of credible dance music, 4 To The Floor revisits 'Liquid Interlude'. 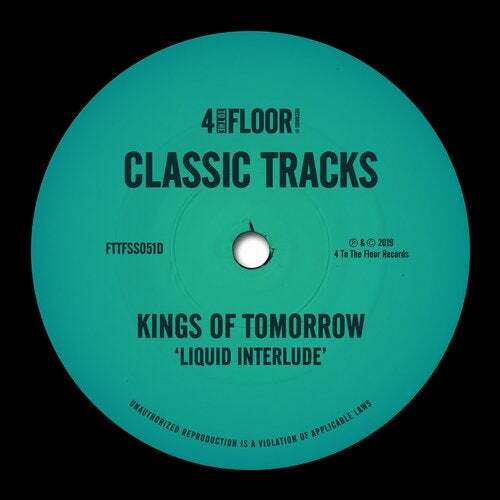 Unlike the signature vocal sound Kings Of Tomorrow are best known for, these four tracks are perfect examples of that stripped back New York deep house that will keep the floor moving all the way through to the after party. Originally released in 1995, 'Liquid Interlude' still sounds distinctively modern today, and is another lightbulb moment of musical discovery on 4 To The Floor.